I never really liked liquid concealers. I've tried some but nothing satisfied me when it comes to coverage and longetivity. However, because Liz, my beauty and fashion editor in POC, raved about Etude House's Surprise Essence Concealer and the pretty FOTDs of Donnarence using it, I decided to give it a try. I told myself that it's not a big loss if I don't like it because it only costs P298. 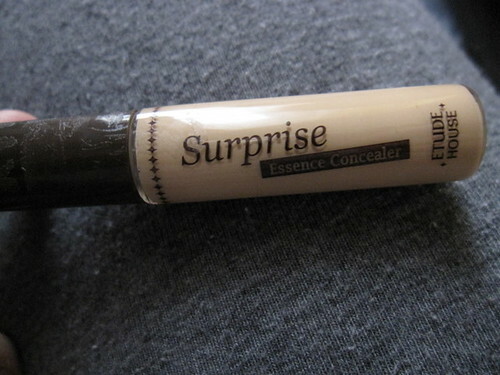 This Concealer only has 2 shades available and I got the darker one. I'm lucky that it matches my skintone perfectly. 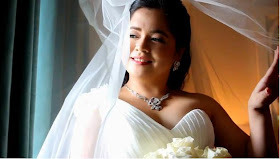 However, for those who have morena skin, I recommend the Makeup Forever full cover concealer for you if you prefer liquid concealers as it has a wide variety of shades available. For me, it works better as it is waterproof but the price is way more expensive compared to this. 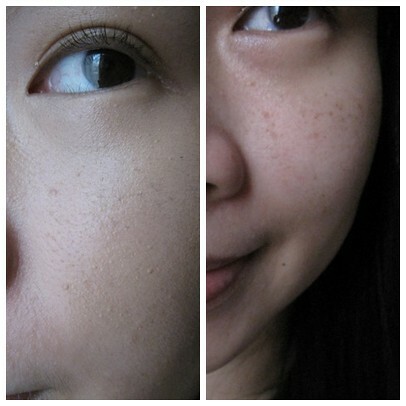 The photo on the left is my skin with Etude House Pore Cover and Surprise Concealer alone. I'm really amazed with the coverage. Wearing it alone, it made my freckles unnoticeable. What more if I top it with a foundation right? What impressed me more is it doesn't cake and last really long. Tip: To get the maximum coverage, dot an ample amount on your imperfection then blend the ends onto the skin until it's unnoticeable. Do not rub or drag the concealer on top. Set it with powder right away to help the product stay put. Note: I raved this product because I really liked it. I bought this using my own money and am not affiliated with the brand. Try it on your own discretion. sis Eos I bought it in Megamall. Will it work for leg scars?